Five Hills is a small family farm in Southwest Missouri, in the heart of the Ozarks. We're about equal distance from the Lake of the Ozarks, Pomme de Terre lake, Lake Stockton, and the lakes around Branson. We're also in the heart of MFT country. 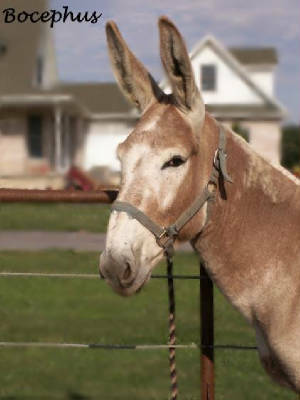 In addition, Missouri has always been known for it's mules, they are even our state animal. My husband was never interested in horses until several years ago when we moved out to our farm and met some neighbors that had a small jack and mules. He decided he had to have one of those long eared critters and we got started with a couple mules out of QH mares and his little jack. I had my doubts, but to put it mildly, I am mule crazy now too. From that and my love for our Missouri Fox Trotter mares, I educated myself and developed a plan to raise mules we would want for ourselves and we have done just that for over 12 years. As the time passes, I also look forward to grandchildren and ponies, so of course those ponies must be foxtrotters! And would you know, just at the right right time the MFTHBA opens a registry for what else?? The Missouri Foxtrotting Pony Registry! Read more about it on Erin's page and see what the excitement's about. *If you know a lot about mules, we'd love to hear from you, I never stop learning. *If you know nothing about mules, we'd love to hear from you, I will share what I've learned. Notification came out March 26th, 2008 that the University of Kentucky's work on the Champagne Color Genetics in the horse (and mule) is completing and the cat's out of the bag so I can now post to the public that our Champagne Mule, her dam, our pony stallion and his colt were all part of the study and all received certificates to confirm they are Champagne. They were part of history in this race to find the gene that included such great labs as the Gluck Lab at the University of Kentucky who found the gene but also in the race was UC Davis among others. The International Champagne Horse Registry (ICHR) already had tests in place to verify they were champagne through pedigrees and characteristics but now they will have additional proof to verify their "Champagne" genetics. Everyone has their own page with photo's and information. Take a look around, there is a menu on each page either on top or to the side to help you navigate from one page to the next. Be sure to check out the links to more photo's. You can click "Back" to return to the main page. To help ensure that the pages don't take so long to download, the photo's are displayed as thumbnail size. To see any of the photo's in a larger size just click on it. It will open as a new window to view in full size. Just close that window when you're done. We don't consider our mules, horses and ponies a business, it's all pleasure.